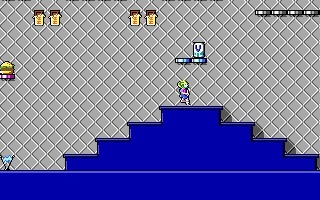 Commander Keen 2: The Earth Explodes is the sequel to Commander Keen: Marooned on Mars and it was developed by id Software and published by Apogee in 1990 for DOS only. 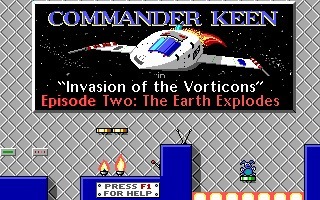 Programmed, like the other games of the franchise, by John Carmack and John Romero, it is also part of the Commander Keen trilogy later bundled as Commander Keen: Attack of the Vorticons. 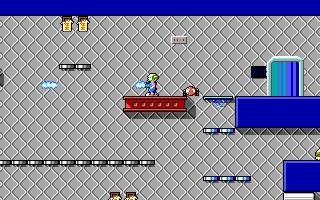 The game makes use of a scrolling engine created by John Carmack, called "adaptive tile refresh," that allowed - for the first time - smooth scrolling on a PC. 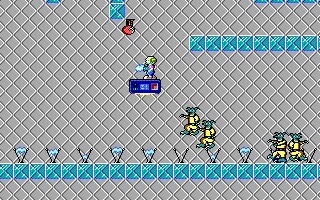 Commander Keen is back and ready to protect Earth from the Vorticons after managing to get himself off of Mars in the first game. The Vorticons are looming overhead in their massive ship just waiting to destroy Earth’s biggest cities. It’s CK’s mission to get on board the ship and take out their weapons systems. CK has to navigate the different decks on the ship avoiding the enemies and obstacles standing between him and saving the world. Just like in the first one, CK has the use of his trusty raygun and pogo stick. 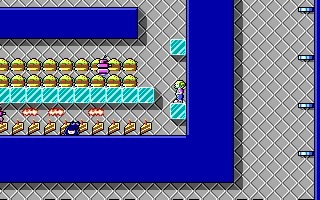 Though many of the enemies are quickly dispatched with your raygun, some are not so easy to kill and are best avoided rather than faced head-on. 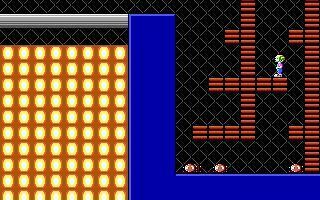 The levels contain collectible items that reward you with points that can be used to obtain extra lives. 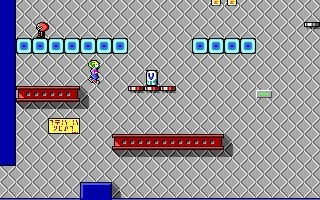 CK also has to collect key cards and other useful things to help him complete the levels. 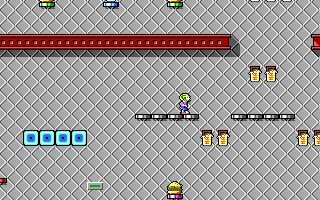 Commander Keen 2 has the same familiar gameplay as the original, making it easy to pick up once you’ve completed the first one. The improved graphics, new enemies, and levels keep CK2 from feeling like a rehash of the original. It’s a worthy sequel and the fan favorite in the trilogy.